You are looking at only half the picture. As Britain's economy comes down due to Brexit you will not have money to import products from EU so your total tariffs will go down. It's like saying my income is being cut to half so I will pay half the taxes. Not a great situation. Nope, we will make them here instead. And reduced tariffs on non-EU countries will allow a more competitive market, which will reduce prices, rather than being a prisoner of the EU's protectionism. As regards their exports to us, we win either way. Either we make it here and create jobs, or we charge tariffs and make money. Furthermore, if the EU hasn't unfucked its ideas by the end of this year, we are due to start putting in place the infrastructure for WTO trading conditions, and then the EU won't even receive funding to the end of the current MFF like we generously offered them. Furthermore, if the EU has unfucked its ideas by the end of this year, we are due to start putting in place the infrastructure for WTO trading conditions, and then the EU won't even receive funding to the end of the current MFF like we generously offered them. make 'what' here? everyone knows you don't ave skilled workforce. Even your nuclear submarines are run by people who 'read classics' and not engineers like the USN. I'm sure your skilled workforce will chant homer at the tin factory. Yeah. The Astute class is probably the most advanced SSN currently at sea, even including US designs. At this time I have to ask...I like you but....are you stupid? WARSAW, Poland – The Polish prime minister says her government has won its dispute with the European Union over migration and that the EU has even changed its own stance on the matter thanks to the "influence of Poland's resolute and unyielding attitude." Beata Szydlo spoke Monday at a joint news conference with Jaroslaw Kaczynski, head of the ruling Law and Justice party, with them each hailing what they see as the party's successes two years after taking power. The Central European country, like others in the region, has refused to accept any refugees in a legally binding EU resettlement plan. Warsaw argues that accepting Muslim migrants would threaten the country's security and its Catholic identity. Szydlo said, "Poland is today seen in Europe as a country free of terrorism." The EU is drawing up plans for a no deal Brexit scenario, EU chief negotiator Michel Barnier said in an interview published on Sunday (12 November). Talking to France's Journal du Dimanche newspaper Barnier warned that people should prepare themselves for the possibility of Brexit talks collapsing. "That's not my preferred option ... But it's a possibility. Everyone has to prepare for it, states as businesses - we are technically preparing ourselves," Barnier said. The chief negotiator said after the latest round of talks last week that the UK needed to clarify its position on the divorce bill for talks to be able to move on to their next phase on future relations. EU leaders will gather in December to assess whether Brexit negotiations have made enough progress on the key issues of the divorce money, the border of Northern Ireland, and citizens' rights to start discussions on the future and trade. British prime minister Theresa May said in September that the UK would honour its financial commitments, but did not spell out in detail what the UK is willing to pay. "Theresa May has committed to paying the 2019 and 2020 contributions [to the EU budget], as well as other commitments, without specifying which ones. We know what these are, for example, the guarantees given to the European Investment Bank, the European Development Fund, aid to Turkey and Ukraine, but also the pensions of European civil servants, the relocation of the European banks and drug agencies to leave London," Barnier said. "The European taxpayer should not pay the price of a sovereign decision of the United Kingdom," he said, adding the EU wanted to reach an agreement within 15 working days. 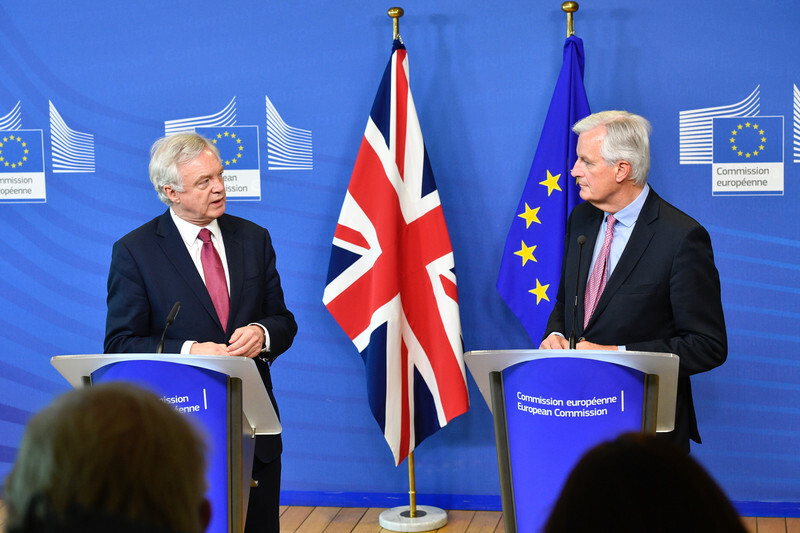 Barnier pointed out that after Brexit the UK will be a third country, and that it is not fully prepared for the consequences of leaving the bloc. A breakdown in talks could lead to British planes not being able to land in Europe, or cats and dogs not being able to cross the Channel, the negotiator warned. "Without a deal on future trade, the EU and Britain would revert to World Trade Organisation (WTO) rules and trading relations, like those we have with China," Barnier said. He added that the way to maintain free trade could be for UK, like Norway, to remain in the customs union and the single market. He said it was a scenario still "possible" for the EU, but that London preferred to leave both. "We must have a divorce treaty in March 2019, which could include a short period of transition, and the same package should include a political statement that will decide our future relationship - but no more, because we do not have the time," he said. Barnier's warning comes as pressure mounts on May's government to make progress on Brexit talks. Her government is reluctant to engage in detailed discussions on the divorce bill before the outlines of the future relations are clear and for fear of backlash from the hardline Brexiteers. Adding to the pressure was a leaked letter by environment secretary Michael Gove and foreign minister Boris Johnson who have made a veiled attack on chancellor Philip Hammond, for lacking "sufficient energy" in preparing for Brexit. The private letter - marked only for the attention of the PM and her chief of staff - urged May to imposed a strict deadline on any 'transition' period, and curb the influence of supporters of a soft Brexit, such as Hammond. Brussels is planning to offer the UK a Canada-style trade deal after Brexit, increasing the possibility that financial services could suffer in the new world order. Scoping documents seen by Politico suggest Michel Barnier and his team are planning to put forward a Canada-style framework for future trading, rejecting Theresa May's requests for a bespoke agreement. That was already an accepted fact. Until now they wouldn't offer anything unless we paid them £100bn, which we still aren't going to do. They suddenly got really concerned about their exports and job losses. It's the damn truth, why are they offering anything if they're insistent on their £100bn? They folded.